Kelly KEB84120E programmable E-bike brushless DC motor controller provides efficient, smooth and quiet controls for electric bike, electric motorcycle, scooter conversion, etc. E-bike brushless motor controller outputs high taking off current, and limit battery current strictly. 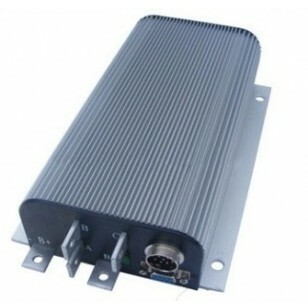 Motor speed controller can work with relative small battery, but provide good acceleration and hill climbing. BLDC motor speed controller uses high power MOSFET, PWM to achieve efficiency 99%. In most cases, Powerful microprocessor brings in comprehensive and precise control to BLDC motor controllers. This programmable brushless motor controller also allows users to set parameters, conduct tests, and obtain diagnostic information quickly and easily. •Controller supply voltage range, PWR, 18V-105V. •Configurable battery voltage range, B+. 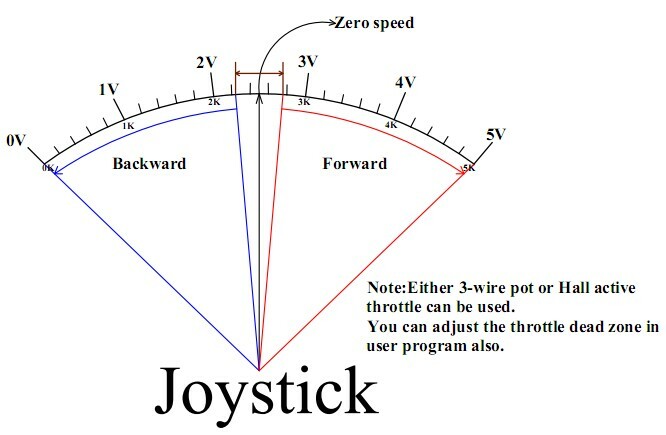 Operating range: 18V to 105V. •Peak Phase Current, 10 seconds: 500A.